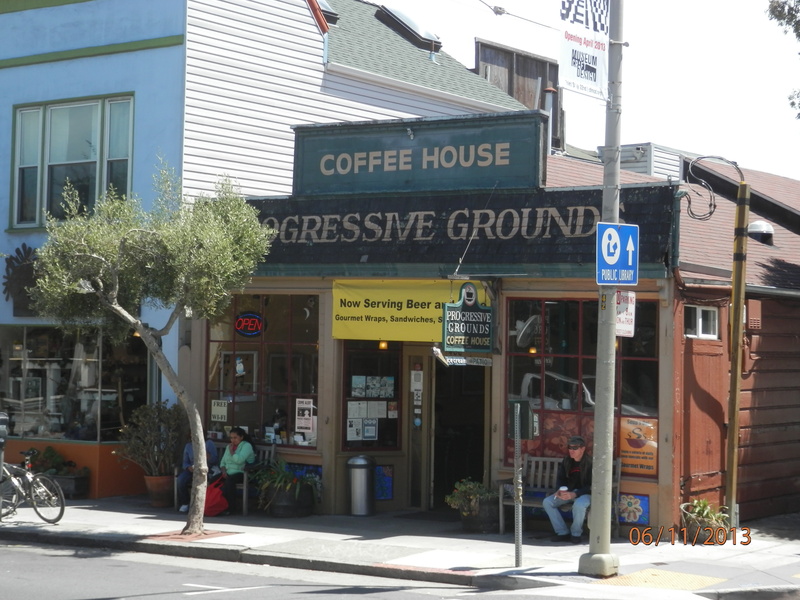 I’ve taken pen to paper, or rather finger to keyboard, on two previous occasions on this blog to bemoan the demise of “high street” bookshops, both in principle and in my adopted city of San Francisco. In the first, I lamented the closure of the large branches of Border’s in Union Square, replaced now by a DSW shoe emporium, which, to add insult to injury, my wife loves, and 2nd and King opposite the ballpark. 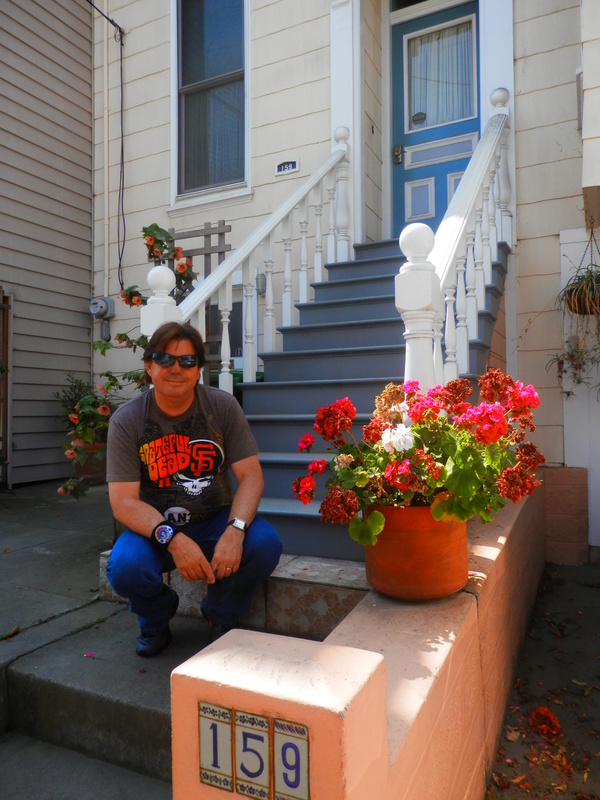 I consoled myself at the time with the knowledge that the Barnes and Noble branch in Fisherman’s Wharf was still carrying the flag, only to discover, shortly afterwards, that it too had made way for an expanded Cost Plus World Market. But, in one sense, that has been a blessing as it has forced me to seek out San Francisco’s rich family of neighbourhood bookstores. As a result, I’m no longer sure that I miss the big chains as much as I did three years ago. On my recent trip I had the pleasure of visiting a number of the independent stores – some new to me, others old friends – and discovered a very different story to the one that confronted me when the giants (no, not those) were collapsing around me a couple of years ago. 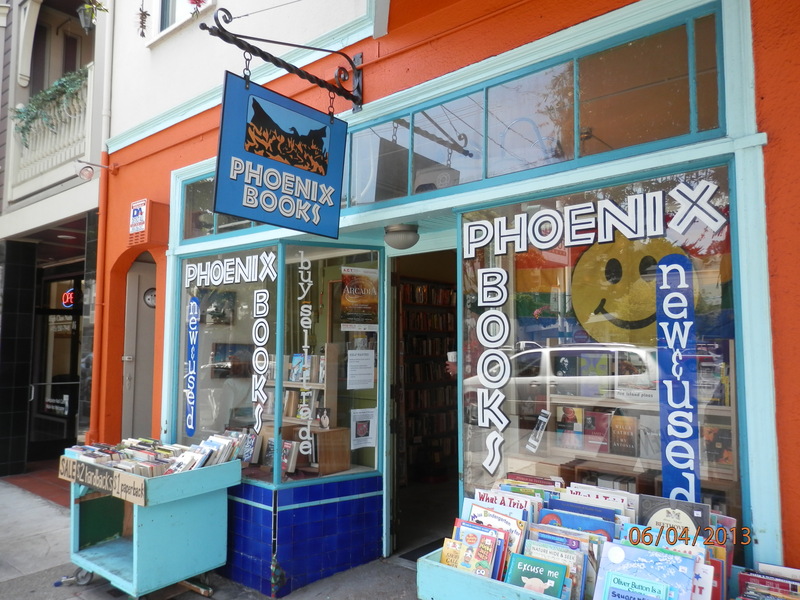 Phoenix Books on 24th Street in Noe Valley was my local store where, on the first morning of my vacation, I picked up a discounted copy of Comeback Kings, a book on the Giants’ (yes, those) 2012 World Series victory. 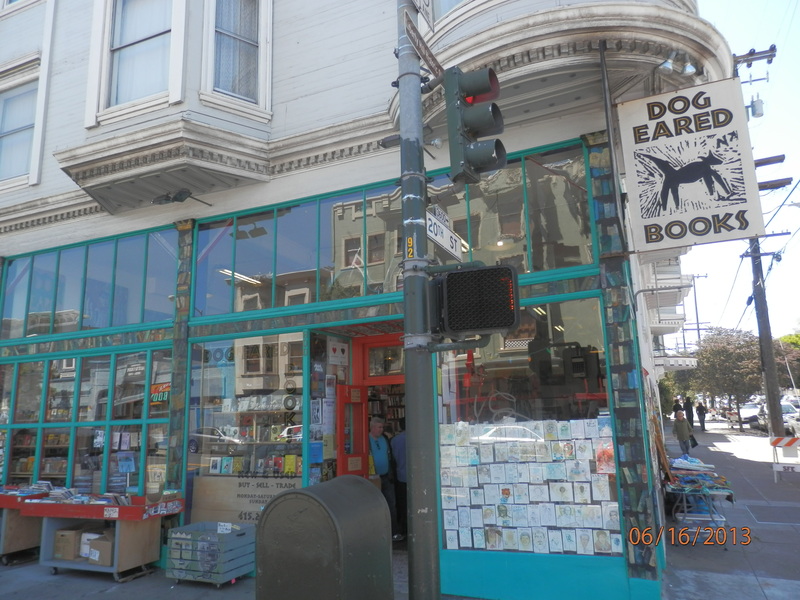 A Sunday afternoon stroll down Valencia Street in the Mission unveiled the dual delights of Dog Eared Books and Borderlands Books, though the latter’s sole focus on science fiction, fantasy, horror and mystery is not to my taste. But the painstakingly prepared coffee was! A happy birthday to Dog Eared Books, a partner of the aforementioned Phoenix Books, Badger Books (of which more below) and alley cat books, which turns 21 this very week! On the evidence of these two thriving outlets, the declaration on its website that ‘reports concerning “The Death of the Bookstore” have been greatly exaggerated’ rings resoundingly and joyfully true. What struck me most about all of the bookstores I visited was the sheer number of people frequenting them, not just browsing the shelves but writing their own blogs and engaging in social media on their laptops, drinking every conceivable coffee permutation and interrogating the community noticeboards for apartment lettings or reiki classes and, in some instances, all three. Badger Books on the corner of Cortland Avenue and Bennington Street in urbane Bernal Heights, displayed a particularly fine secondhand selection and boasted a lovely children’s section complete with multi-coloured stools. Needless to say, City Lights in North Beach afforded me several opportunities to part with my dollars and the Book Passage in the Ferry Building, though relatively small, always contains an interesting and eclectic collection. Besides, there are few better places to sit and read than outside with a cup of Peet’s coffee from the adjoining concession. Aardvark Books on Church Street near Market, where I bought a set of vintage San Francisco postcards at just fifteen cents each, The Booksmith (another regular haunt) and Browser Books on Fillmore between California and Sacramento are also fine places to stay awhile. I may, to the purists, be about to join the dark side with my purchase of an Amazon Kindle, but I will never lose my love for plunging into bookstores (preferably those with adjoining cafes and a place to park the laptop), and divesting them of their stock. 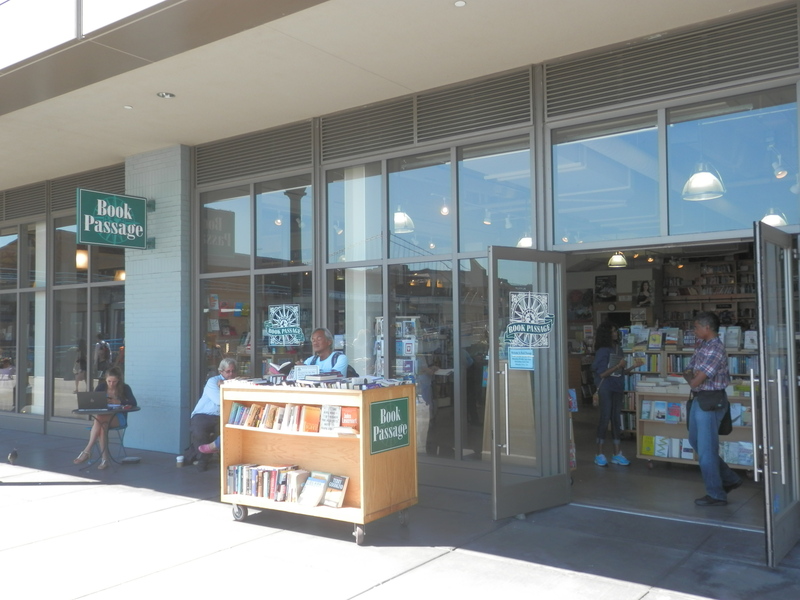 I expect that I only scratched the surface with San Francisco’s independent bookstores this time, but if the above branches are typical, their future is bright.